Be aware and respect the court booking guidelines. Talk quietly if you are near tennis courts that are in use. Do not walk behind a court during an active point. Pass as quickly as possibly after a point has finished. 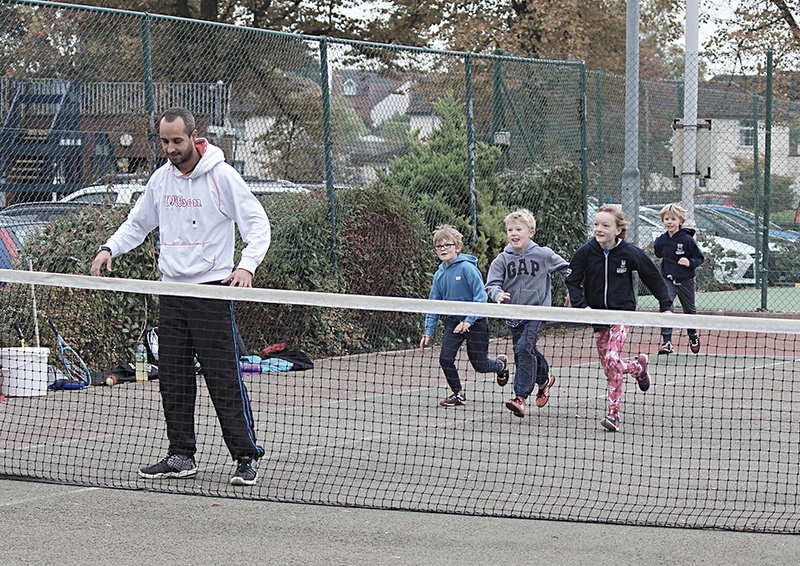 When you’re crossing courts it’s normal to do so at the rear of the court and not at the net. Do not disturb people on your court until after their time is up. Wear proper tennis trainers with a non-marking sole. Other trainers may wear out quickly, hurt your feet, or damage or mark the court. Before starting to play, ensure any equipment you are not using (spare rackets, clothing, drinks, etc.) are out of the way. To determine who will serve first, spin your racket on it’s head, let it fall to the floor, and ask your opponent to call rough or smooth. Look to see whether the tied-off strings on your racket are facing up or down, if they are up then that’s rough and if they are down that’s smooth. The winner can choose whether to serve first, or to receive first, or can choose which end of the court they wish to start playing on. Often a ball from another court will end up on your court. To return a ball simply roll it safely to the back of the court and not direct to a player unless he/she requests it. Tennis balls will end up scattered over the court during play, so you should retrieve balls for your partner and your opponent to keep the game flowing. Line calls can be hard to see from the other side of the court so you must call your own lines, ensuring your opponent can hear you. A ball that touches any part of the line is good, so you don’t have to say anything, but you could say “Yep!” as an acknowledgement. Always respect the line calls of your opponent because he is nearer than you. If you have a disagreement with your opponent, offer a let. This means you replay the point whether it’s a first or second serve. 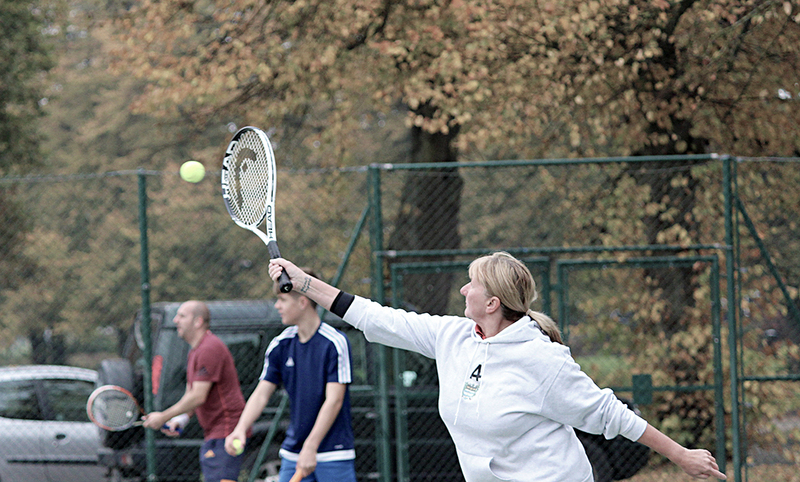 Keep tennis balls in your hand, in a pocket, in a ball clip, or at the back centre of the court against the fence. If there is a brief pause in play (even between points) look around for any tennis balls you could collect before the server wishes to start serving again. If the server requires a tennis ball, the player closest to a ball should get it and pass it the server. Pass a ball to the server at a sensible speed so that it is easy to catch, bouncing once or twice. Do not pass a ball over the net to the back fence. Apart from the possibility of it bouncing off the fence and back onto the court, you could just as easily kept the ball and passed it over the net to the server as he/she required it! The server is required to announce the score at the start of each game, and also at the start of the second point and each point that follows in each game. It is then up to the receiver if he cannot hear the server’s score announcement to ask the server to speak louder. It is too late to correct any scoring errors once one player believes he/she has won the game! If you are unsure as to whether your opponent’s shot was in or out, call it in. If a player serves the ball fast it can be difficult for the person returning the serve to see whether the serve was in or not, particularly if it is on or close to a line. The server should be given the benefit of the doubt if he believes it to be in, but if he believes it to be out you should call a let and replay the point. Doubles specific: Both you and your partner take responsibility for monitoring and reporting line calls on your own side of the court, unless your partners vision is compromised and the call is an obvious one. Doubles specific: If you are receiving the ball from a serve, and your partner is also near to the service line, he is better placed than you to make a call as to whether the ball was long or not. Tennis can be a frustrating game if you are not getting your serves in or not hitting your shots, but try to remain upbeat and happy. Your opponent and/or doubles partner doesn’t want to be playing tennis with someone who is unhappy. 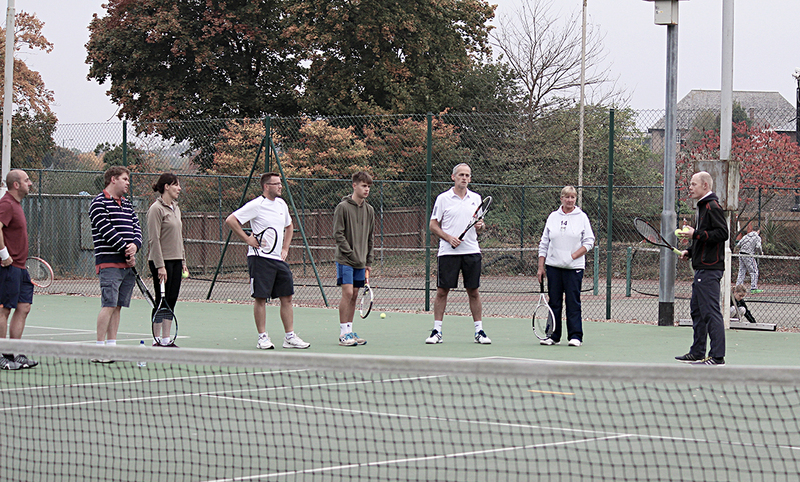 You are more likely to play better tennis if you are calm, relaxed, focussed, and in a positive frame of mind.